The number of awards given each year will be at the discretion of the Awards Committee. Any person may make a nomination. To do so, please fill in a nomination form that can be found here. Deadline for nominations is Monday, December 31, 2018. 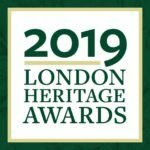 The awards will be presented at a Gala reception to be held at Delta Armouries Hotel on Thursday, February 21st, 2019 during Heritage Week.